Spartacus: Legendary Warrior is a grand slot with massive potential, telling the heroic story of the fearless Spartacus, a legendary fighter who is known to have led over 90,000 men in an uprising battle against Rome. He was considered to be one of the most famous gladiators in history. Red7 was inspired by this legendary warrior to create a captivating five-reel, five-row slot with a massive total of 50 paylines. 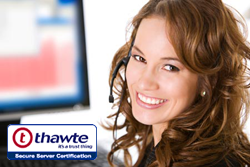 However, during the base game, you can expand the reels to 10 rows with a powerful total of 100 paylines. Spartacus: Legendary Warrior comes with expanding wilds and three different free spins modes: Recruit, Hero, and Legend free spins. Spartacus himself stands to the left of the reels and on the reels themselves, you’ll see symbols like axes, shields, chariots, helmets, lions, and the game’s logo and the four playing card suits. There is also a wild symbol which replaces all symbols on the reels with the exception of the amphitheatre scatter symbol. The amphitheatre scatter can only land on reels one, three, and five. Whenever the wild symbol lands in a hidden section of the reels, it will expand to cover a full reel and unlock all the locked reels. The free spins are triggered when you land three amphitheatre symbols on reels one, three, and five. This awards 12 initial free spins which are played on the expanded reel set with 10 rows and 100 paylines. There are three different free spins modes, described below. Landing three amphitheatre symbols in the upper five rows of the visible reels will trigger the Recruit free spins. During these free spins, wilds will be randomly added to the reels on each free spin and when they land, will expand to fill the entire reel. Landing three amphitheatre symbols on the lower five rows in the hidden section will trigger the Hero free spins. During these free spins, wilds are also added to the reels and expand fully, but they may also award an additional multiplier which will be applied to any win they form part of! The multiplier value ranges from 2x to 5x your win. The Legend free spins are triggered by landing three amphitheatre symbols anywhere on the reel set as well as a wild symbol present on the reels. These free spins work in the same way as the Hero free spins, but you’ll also be awarded with a ways pay feature. During any of the three free spins features, landing another three scatters will award you with an extra 12 free spins. The wild and the game logo are the best paying symbols in Spartacus: Legendary Warrior, each paying up to 4x your bet for a hit of five matching symbols on a payline. Next are the lion and the chariot, each worth up to 1.6x your bet. The helmet, the shield, and the axe each pay up to 0.8x your bet. The playing card suits pay up to 0.4x your bet. The payouts might be on the lower side in this game, but with up to 100 paylines, it’s easy to trigger wins on multiple paylines on the same spin, meaning the payouts will increase significantly. Spartacus has the look and feel of an epic slot with epic characters. The three different warriors appear next the reels, designed in a very realistic style that’s sure to attract you if you enjoy a well-designed game. The music is very heroic and adventurous in style and becomes more tense are you start spinning the reels. Several sound and visual effects accompany each win, taking the entertainment factor to a whole other level. Next to the reels, you can find the bet settings and access to the paytable as well as the spin button. At the bottom of the reels, you can access the settings and the detailed rules. 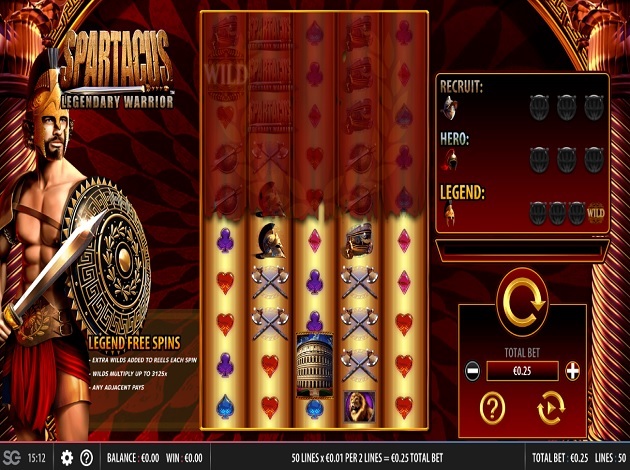 Spartacus: Legendary Warrior is a superbly designed slot which stands out thanks to its brilliant graphics and more importantly, the three free spins mode which allow you to play with 100 paylines and added features. Play Spartacus: Legendary Warrior and witness the power of this legendary fighter for yourself, here at Videoslots. Check out Battleship Direct Hit at Videoslots.com!